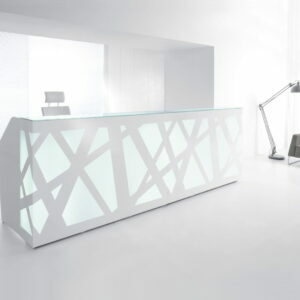 Valde also stands out for its creative design and cogent elegance which is emphasized by the precision of the detail. 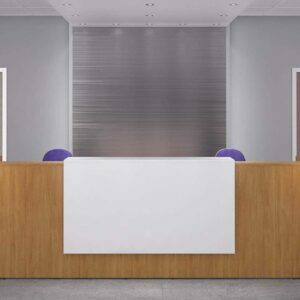 Horizontal aluminum slats emphasize a shape and a modern character of the body. 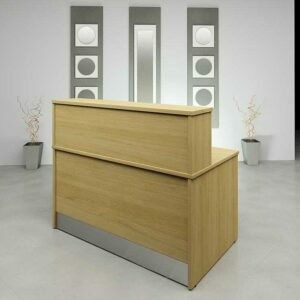 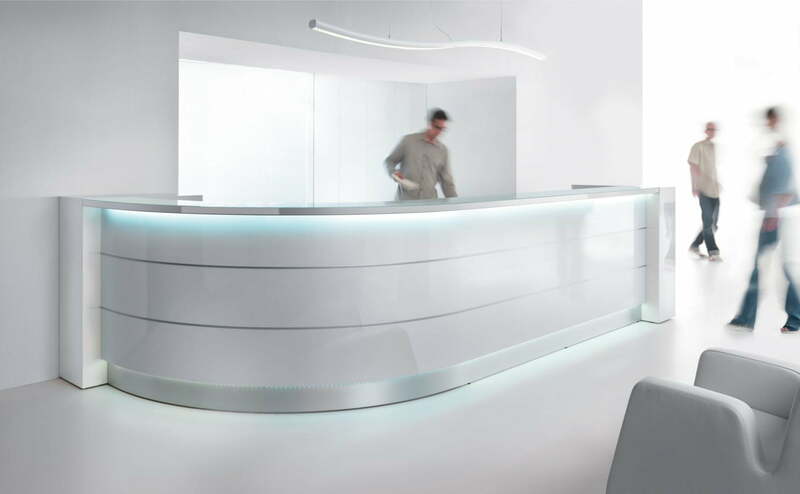 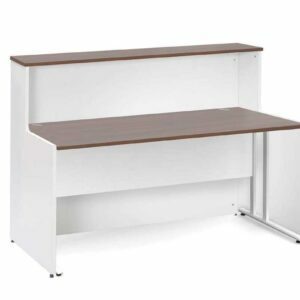 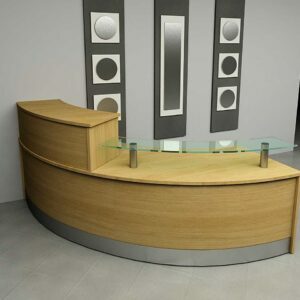 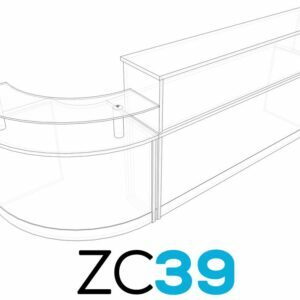 The desk tops are made of tempered white glass which perfectly matches the glittering frontal part of the reception counter. 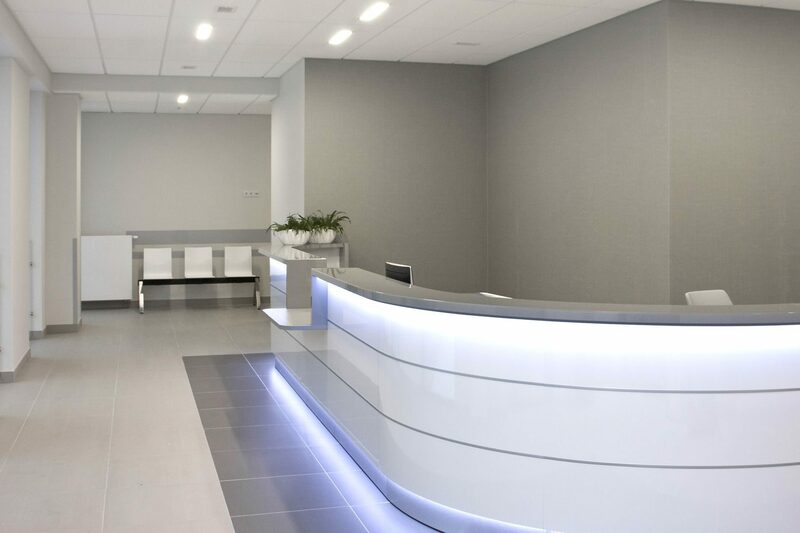 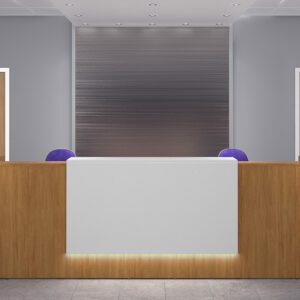 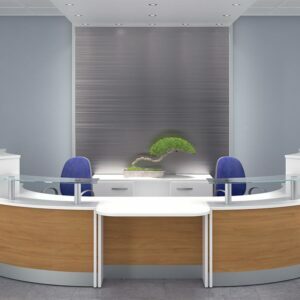 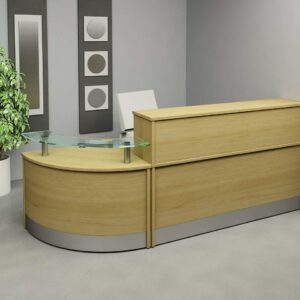 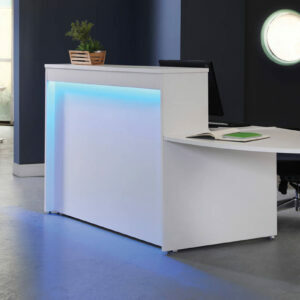 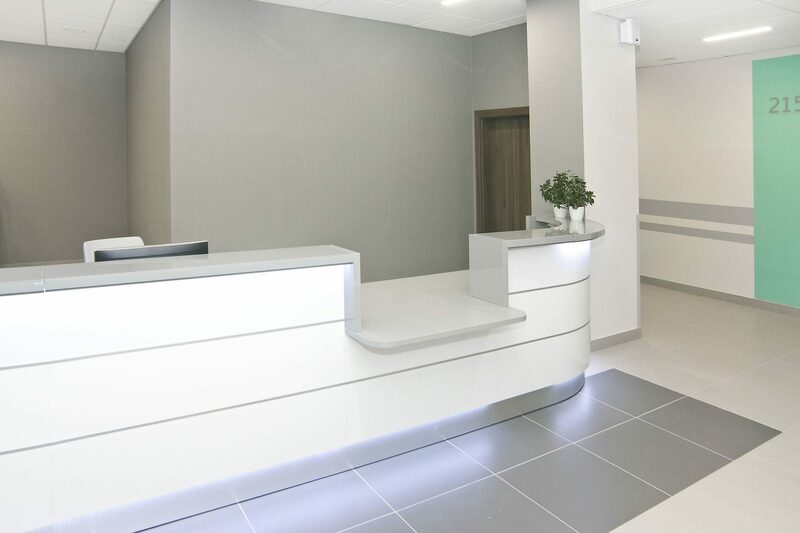 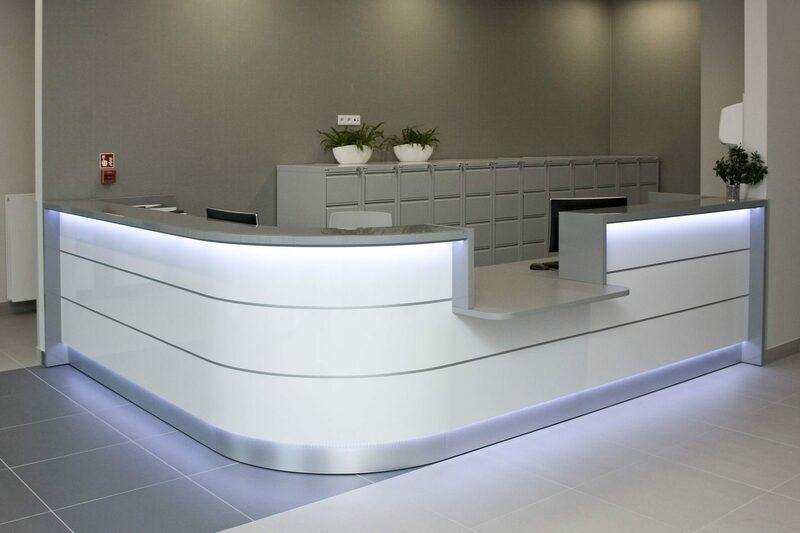 LED lighting is located under the upper part of the desk top and at he base of the desk which makes the reception desk look stunning especially in darker rooms.